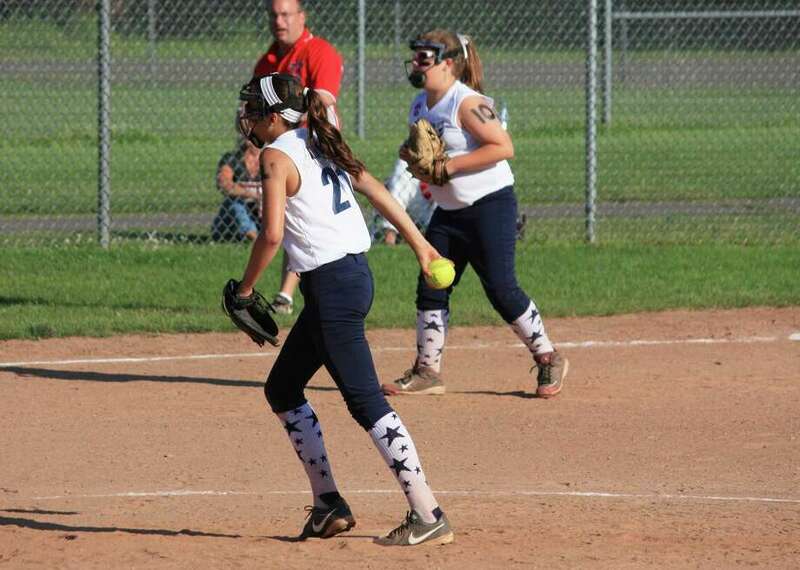 Westport came out on top of Fairfield 14-13 Saturday as the two teams wrapped up the Little League District 2 softball championship at Unity Field in Trumbull. The teams were tied 13-13 after nine innings Friday night before darkness suspended play, and the game resumed Saturday at 1 p.m. Both teams went down quickly in the 10th and 11th inning. In the bottom of the twelfth, Westport had a chance to put the game away with the bases loaded and one out. But after a mound visit by manager Matt DeSabella, Fairfield was able to get out of the inning with an infield fly and a groundout to third. In the bottom of the 13th, Westport started the inning off with a single to left field, followed up by a walk. After a sacrifice bunt advanced the runners to second and third with one out, a hit to right field would score the winning run. Fairfield just could not get the bats going against Westport on Saturday. It was obviously not the outcome DeSabella was looking for, but he said he's very proud of his team. "I'm extremely proud of them," DeSabella said. "They should all be really, really proud of themselves. They fought really, really hard all day yesterday and all day today. They kept fighting tooth and nail, non-stop."